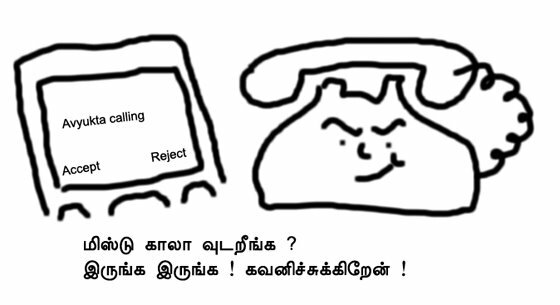 Welcome To Your Senses: En Iniya Missed Call Makkale !! En Iniya Missed Call Makkale !! It is beyond impossible, that you will find some useful information on this blog. And even those useful informations that rarely appear are outdated informations which entertain "Adhaan enakku theriyume !!" dialogues. So be it. No one can stop me from doing it. :) Here's Mission Impossible. BSNL Landline users, this post is for you. I should say "Especially for you" if you are a thillalangadi who makes missed call to people having Cell. Im here to break your belief. YOU ARE CHARGED FOR MAKING A MISSED CALL, IF THE MOBILE USER REJECTS YOUR CALL. If you are a Pro-missed call maker, you will DIAL-Hear the Ring-Cut the line. This is perfectly ok. But if you are a nagging guy, who will keep it ringing until the Recipient chooses to REJECT the call, then you are Credited with one more UNIT to that months bill. Note : This applies only for the Landline customer. BSNLகாரன் கபால்னு Money கட் பன்னிடுவான் !! 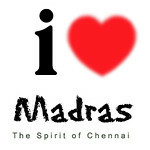 ஜாக்ரதை !! Has to be you, spread the word.. help the worl from choking tarrifs for virtually nothing..
Uma, Yaamariyom Parabarame.. BTW, Wonderful edhukku ?